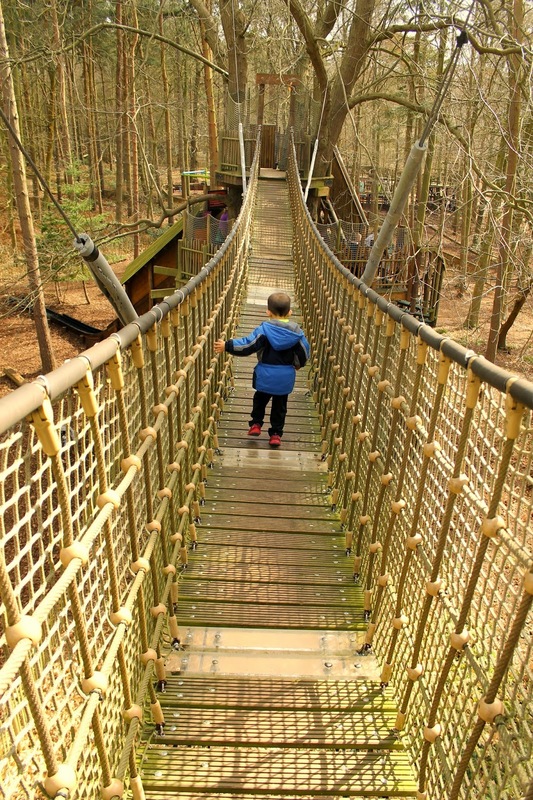 1) BeWilderwood. I'm so glad someone recommended this park to us. Because had I just read about it in a guidebook, I might have passed it off as just another glorified playground with pricey admission. 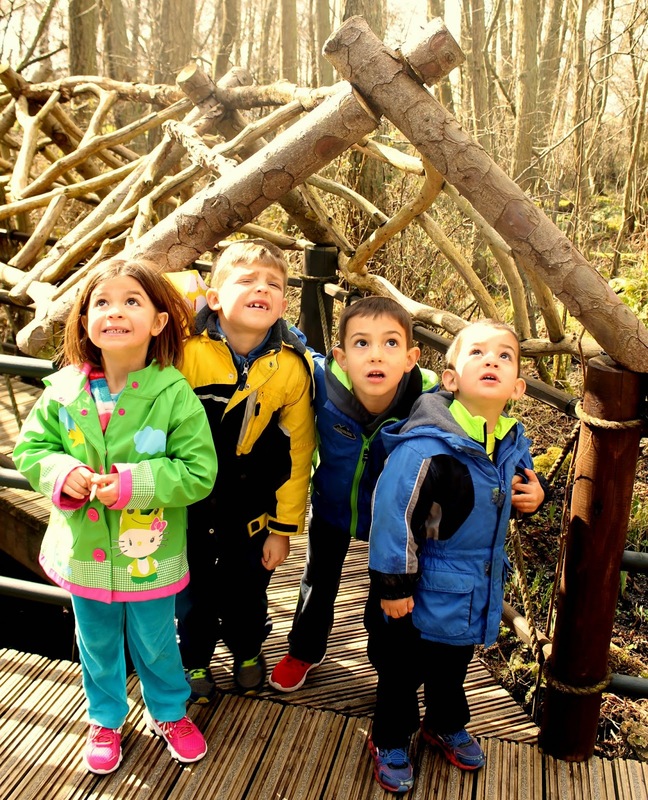 But BeWilderwood is in a category all its own. It was a gigantic playground, as promised, but nestled among gorgeous woodland. It is completely in-tune with its natural setting. Tips: Bring a picnic lunch, the food available was pretty average. Ditch the stroller, too. Your kids will be running from play area to play area. Better pack your energy just to keep up! 2) Boat ride to see seals. This was another unexpected find. 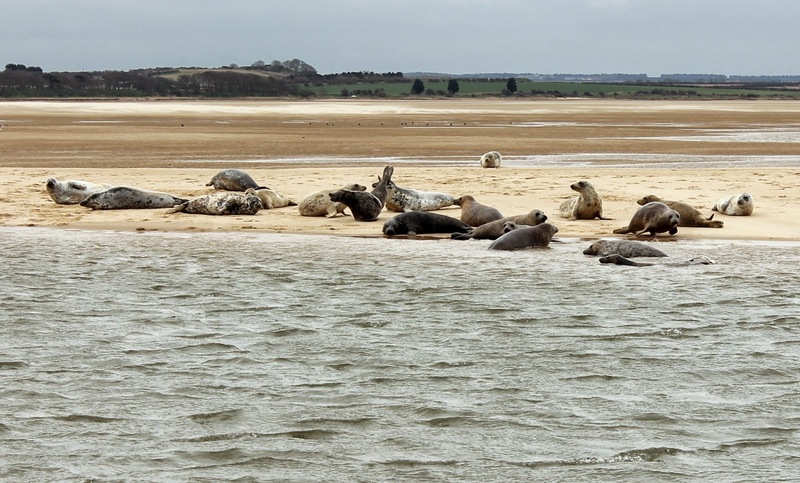 Who knew there were seals in England? I certainly didn't. I loved giving our group of kids the chance to see these somewhat exotic animals in their natural habitat, not just at a zoo or aquarium. Plus the boat ride itself was good fun. I was concerned our motion-sickness-prone group might feel the effects but everyone handled it perfectly fine and the ride was relatively smooth. We went with Beans Boat Trips, which departs from Blakeney Point, but there were other vendors and they all seemed to follow a similar route. 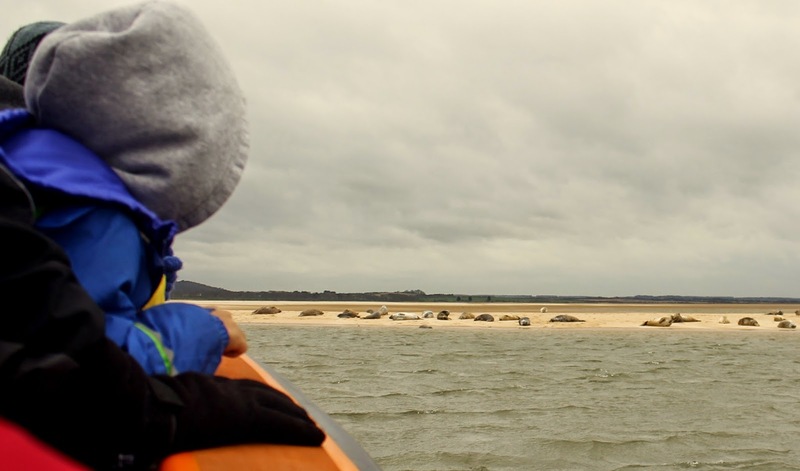 Be sure to book your tickets ahead, and don't forget to pack the binoculars and/or a zoom lens for your camera to enhance the viewing of the seals. My only complaint was that it was really difficult to hear what the guides were telling us about the seals. Tips: Be prepared to get splashed a bit on the boat. I wished I had a plastic bag to cover my camera with when I wasn't taking pictures. Dress warm, once you're out at sea the wind will be even stronger (and colder) than whatever the conditions are on land. The George in Cley-Next-The-Sea was a perfect lunch spot after our boat ride. Great kid's menu and quick service. 3) Beaches. Maybe its the Midwestern in us, where miles of sandy beaches are a luxury not to be taken for granted. But I love that a beautiful beach is just a 90 minute drive from my house. Our favorite is Brancaster, mostly because it is as simple and as beautiful as it gets. No amenities here other than a small coffee and tea stand and some toilets. But the views of the sandy dunes and the gentle water is unbeatable. 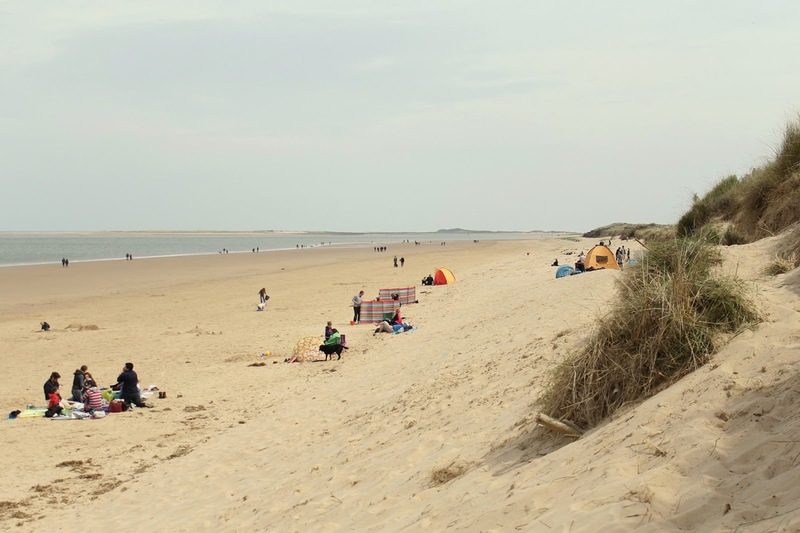 There's also something to be said for the more built-up, developed beaches, like those found at Hunstanton or Sheringham, where you can have your toes in the sand one minute, and be elbow deep in some fish and chips or devouring an ice cream cones minutes later. Tips: There are times when the sand is more muddy than it is fine. For that reason, I always bring beach chairs along with a beach blanket. 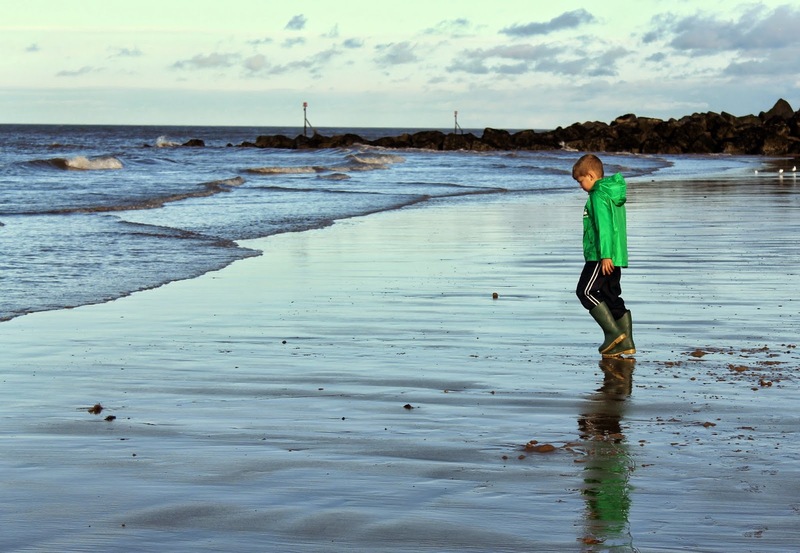 If it's too cold to go barefoot, then make sure everyone has a pair of wellies, too! 4) Arcades. Just about any beachside town in the Norfolk area will have an arcade or two. I normally cringe whenever I step inside this type of place. I think it might be due to residual nightmares from the first time I took Big Arrow into a Chuck E. Cheese. But there's something kinda kitschy and fun about the ones I've been to in Norfolk. And they make a great place to duck your head in when one of those pesky British rain showers pops up. Many of them have 1-pence machines (the equivalent of a penny slot, I suppose), so you can spend an hour in one of these arcades and still have some cash left in your wallet. Again, not normally the type of activity I'd suggest, but then I watched my very determined (perhaps a bit head strong?) 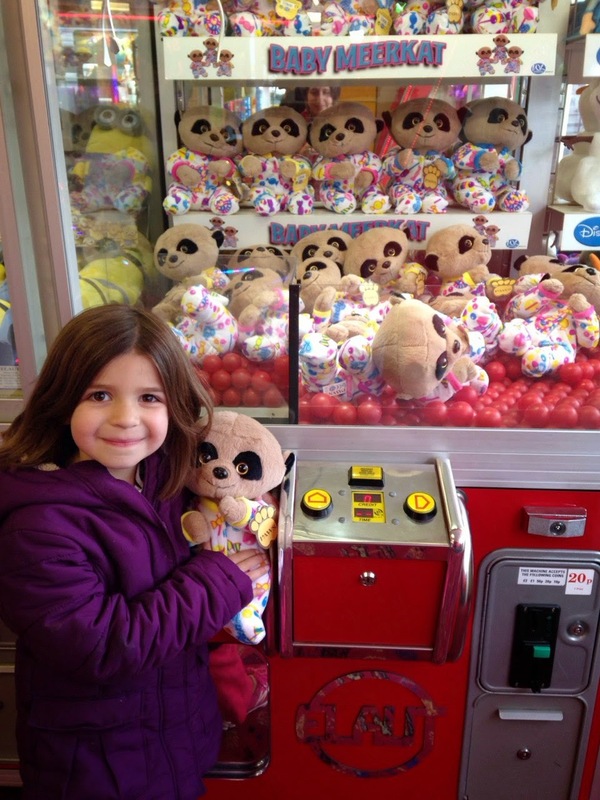 niece defeat "the claw" and win the stuffed animal of her dreams at the arcade in Sheringham. The whole place erupted in cheers, and seconds later the most gorgeous rainbow appeared just outside the front door. If there had been a bar inside, I probably would have ordered a round of drinks for everyone inside to celebrate. And with that memory made, my snobbishness about arcades vanished. Tip: Cash is king at places like this. 5) Steam train. Truthfully, we've done little exploration into the historical side of the Norfolk area. 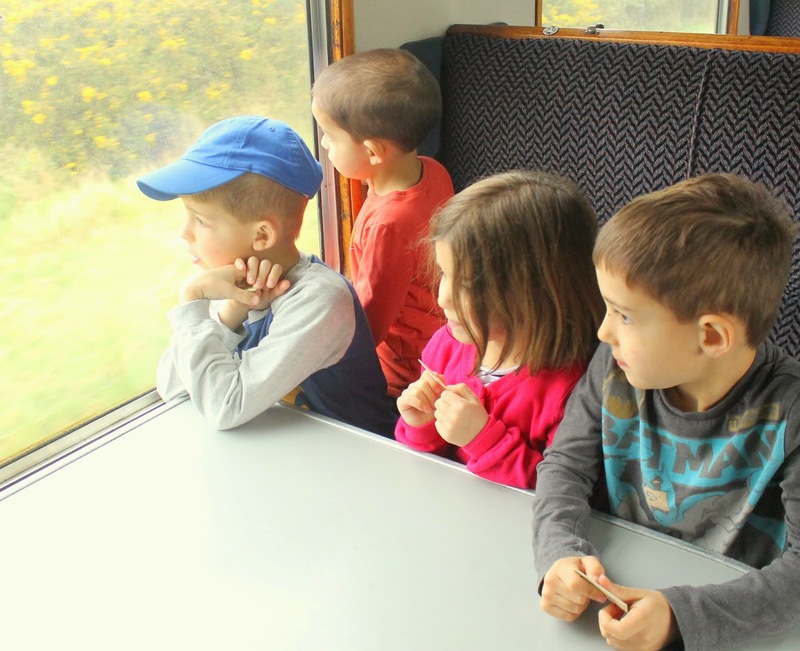 But we did take a wonderful step back into the past by way of a real steam train ride through the countryside on the North Norfolk Railway. 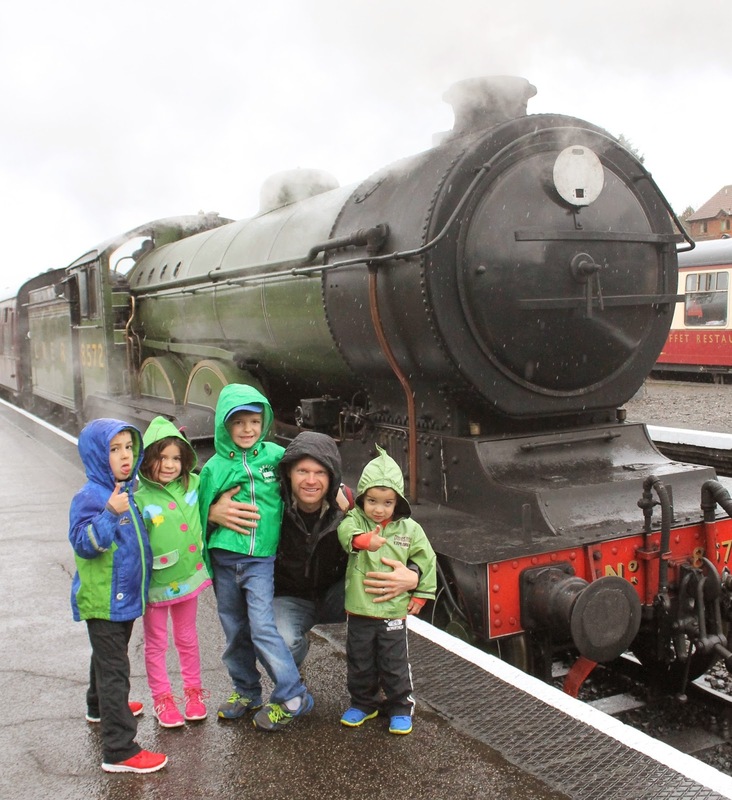 We hopped aboard our train in Sheringham, and made a stop in Holt before our return voyage. Tips: Perhaps bring some coloring books or a small activity for the return trip. While it was all smiles and excitement on the first leg of our ride, we found the children's interest in the journey back to be a bit limited. And bring a stroller, the walk into Holt from the station takes about 15 minutes. Places still on my to-do list in Norfolk? I'd love to make it to Sandringham Estate, the Queen's Norfolk retreat. I'd also love to visit Holkham Hall Estate, mostly because I hear the beach and playground at this stately home are spectacular. Luckily, we have a whole summer of fun ahead of us!